1 Canadian Air Division (1 Cdn Air Div) (French: 1re Division aérienne du Canada) is the operational-level command and control formation of the Royal Canadian Air Force (RCAF). Prior to 2006 the official abbreviation for the division was 1 CAD. It is commanded by an air force major-general. The division traces its origins to the activation of Headquarters No. 1 Air Division, Royal Canadian Air Force in Paris, France, on 1 October 1952. Air Division headquarters relocated to Metz, France in April 1953. No. 1 Air Division was established to meet Canada's NATO air defence commitments in Europe. It consisted of four wings of twelve fighter squadrons located at four bases. Two bases were located in France (RCAF Station Marville (No. 1 Wing) and RCAF Station Grostenquin (No. 2 Wing)) and two were located in West Germany (RCAF Station Zweibrücken (No. 3 Wing) and RCAF Station Baden-Soellingen (No. 4 Wing). ( No. 1 Wing was first located at RCAF North Luffenham, England and was moved to Marville some time after October, 1954). These wings were part of a group of bases which also included U.S. and French installations, all of which came under the jurisdiction of NATO's Fourth Allied Tactical Air Force (4 ATAF) which, in turn, was commanded by Allied Air Forces Central Europe (AAFCE). Components located in Metz included Air Division Headquarters, an air traffic control centre, a telecommunications centre, a combat operations centre, and a support unit. From 1952 to 1963 the RCAF operated the 30 Air Materiel Base, at RCAF Langar (RAF Langar) in Nottinghamshire. RCAF Langar was Canada's last base in the U.K. and served as a primary supply station for No. 1 Air Division RCAF in Europe. Canadian squadrons were originally equipped with Canadair Sabre day fighters. One squadron of each wing, however, would be replaced by the all-weather CF-100 in 1956. The Sabre squadrons were replaced by (nuclear) strike/reconnaissance CF-104 Starfighters in 1962. After the RCAF left France in 1967 and after the RCAF was reorganized and consolidated with Canada's other two services, No. 1 Air Division was replaced by No. 1 Canadian Air Group (1 CAG) with headquarters at CFB Lahr, West Germany. As an austerity measure, in 1968, No. 3 Wing Zweibrücken was closed and its two squadrons were moved to Nos. 1 and 4 Wing. 1969 brought the announcement that the amalgamation of the Canadian Forces in Europe to one command and two bases, and that the Canadian army in northern Germany (Soest area) would be moving south to Nos. 1 and 4 Wings. This meant that No. 1 Wing Lahr would close its doors and the air force in Europe would be reduced in strength (from 6 to 3 squadrons) and concentrated at Baden-Soellingen; the new name would be 1 Canadian Air Group (CAG). The close out parade was held at Baden in the arena on June 29, 1970. This was the change date from 4 Wing to 1 CAG. It was also the disbanding date for two of the squadrons. The Group remained until 1988 when Canada increased its commitment to NATO (three squadrons in theatre and two squadrons in Canada) and No. 1 Canadian Air Division stood-up again. However, shortly after this, relations with the east started to warm and Canada made another announcement: Canada would withdraw its forces stationed in Europe and close the doors on its two bases by 1994. The Air Division, reduced to three squadrons then to two and finally one, ceased flying operations 1 January 1993. This ended a major era of Canada's Air Force. In the summer of 1997, the functional groups (Air Transport Group, Fighter Group, Maritime Air Group, Air Reserve Group, and 10 Tactical Air Group) were dissolved, and 14 Training Group was absorbed within Air Command Headquarters. 1 Canadian Air Division was stood up in Winnipeg to exercise operational command of all CF air assets. 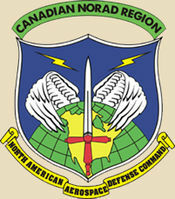 Today based in Winnipeg, Manitoba, the division is also the headquarters for the Canadian NORAD Region (CANR), commands 11 of the RCAF's 13 wings, and oversees the monitoring of Canada's airspace in support of the nation's commitments to the North American Aerospace Defence Command (NORAD). The division is staffed by 600 regular and reserve force members. In addition to military personnel the headquarters is also assisted by civilian personnel in the Operational Research and Analysis Directorate (ORAD). ^ "1 Canadian Air Division Commander". Royal Canadian Air Force. Retrieved 28 November 2016. ^ "1 Canadian Air Division Commander" (PDF). blatherwick. Retrieved 28 November 2016. ^ "New Commander of 1 Canadian Air Division". Aviation.ca. Retrieved 28 November 2016. ^ "New Commander for 1 Canadian Air Division/Canadian NORAD Region". Aviation.ca. Retrieved 28 November 2016. ^ "Archived - New Commander of 1 Canadian Air Division/Canadian NORAD Region". DND. Retrieved 28 November 2016. ^ a b "New Commander of 1 Canadian Air Division/Canadian NORAD Region". Canada's Air Force. July 18, 2007. Retrieved 12 December 2010. ^ "MGen Marc Dumais Tours 8 Wing/CFB Trenton". The Contact. Retrieved 28 November 2016. ^ Lucas, Steve. "Former City Man to Lead Air Force". The Winnipeg Sun. Retrieved 28 November 2016. ^ "New Commander of 1 Canadian Air Division/Canadian NORAD Region, July 9, 2009". Canada's Air Force. Archived from the original on June 11, 2011. Retrieved 2010-01-12. ^ "1 Air Division". Badenremembered. Retrieved 20 January 2010. ^ Canadian Forces Aerospace Doctrine, B-GA-400-000/FP-000, Second Edition, December 2010, 12. Greenhous, Brereton; Halliday, Hugh A. Canada's Air Forces, 1914–1999. Montreal: Editions Art Global and the Department of National Defence, 1999. ISBN 2-920718-72-X.